Apple has acquired BookLamp, a "Pandora for books" startup that aimed to provide personalized book recommendations to readers via specialized algorithms, reports TechCrunch. BookLamp first shut down in April. 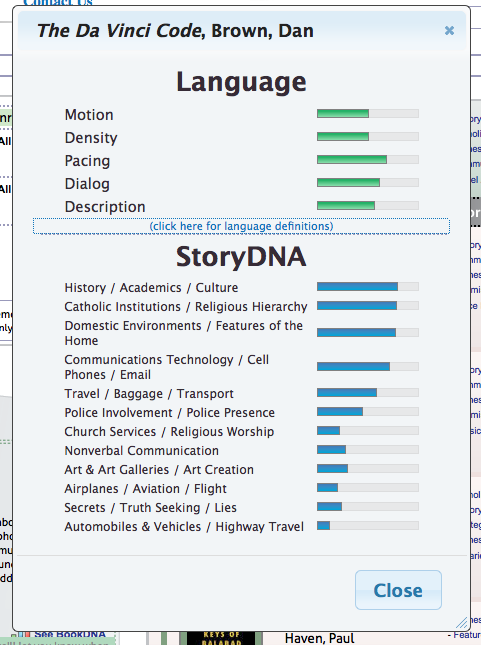 BookLamp was known for its Book Genome project, a book discovery engine that analyzed the text of books to break them down by various themes and variables to let readers search for books similar to books they liked. For example, analyzing The Da Vinci Code, the search engine would break it down to elements of 18.6% Religion and Religions Institutions, 9.4% Police & Murder Investigation, 8.2% Art and Art Galleries, and 6.7% Secret Societies and Communities, and then it would be able to recommend a book similar to The Da Vinci Code based on that data. This type of analytics service could be directly used to improve recommendations and search in iBooks, and as noted by TechCrunch, BookLamp's technology could be used to create a competitor to Amazon X-Ray, which lets readers see where in the book certain terms or characters appear. BookLamp also provided content analysis services to a number of e-book distributors like Amazon, Apple, and other publishers, screening books for categorization and providing a platform for publishers to screen manuscripts. The acquisition will see Apple ramping up its focus on books, according to one source with knowledge of the acquisition. Part of the reason that Apple made the move to acquire BookLamp was because of this long list of clients. "At first Apple and BookLamp talked about growing their contract, but then they talked more from a strategic standpoint," a source says. "What Apple wanted to do was, instead of contract, they wanted to make sure whatever work was done was done just for them." And what is that work? The details are not clear yet, but the source says, "in broad strokes, the goal that [founder Aaron] Stanton and three of the folks he was working with from the original BookLamp crew is to beat Amazon at their own game." BookLamp was purchased for a sum between $10 million and $15 million and while Apple has yet to confirm the purchase, a large amount evidence gathered by TechCrunch suggests several former BookLamp employees have relocated to Cupertino and are now working for Apple. We're one step closer to being able to legally unlock smartphones again, as the United States House of Representatives today passed legislation that legalizes cell phone unlocking, unanimously voting in favor of the Unlocking Consumer Choice and Wireless Competition Act. The Act was approved by the Senate last week, which means the final step is presidential approval. Obama has long supported making cell phone unlocking legal again, and today pledged to sign the bill into law. I applaud Members of Congress for passing the Unlocking Consumer Choice and Wireless Competition Act. Last year, in response to a "We the People" petition from consumers across our country, my Administration called for allowing Americans to use their phones or mobile devices on any network they choose. We laid out steps the FCC, industry, and Congress should take to ensure copyright law does not undermine wireless competition, and worked with wireless carriers to reach a voluntary agreement that helps restore this basic consumer freedom. The bill Congress passed today is another step toward giving ordinary Americans more flexibility and choice, so that they can find a cell phone carrier that meets their needs and their budget. I commend Chairmen Leahy and Goodlatte, and Ranking Members Grassley and Conyers for their leadership on this important consumer issue and look forward to signing this bill into law. The Unlocking Consumer Choice and Wireless Competition Act came about following a 2013 "We the People petition" that called for cell phone unlocking to be made legal. Cell phone unlocking first became illegal in January of 2013, after an exception in the Digital Millennium Copyright Act expired, restricting U.S. customers from shifting service to other carriers or using their devices abroad with local SIM cards. Under the terms of the bill, consumers and third-party services will again be able to unlock cell phones and tablets without receiving express permission from carriers and without facing criminal penalties. In December of 2013, U.S. cellular carriers and the FCC also came to an agreement over a set of voluntary principles that make it easier for wireless customers to unlock their devices and switch from carrier to carrier after a contract has been fulfilled. This week's Buyer's Guide includes deals on the MacBook Air, the Retina MacBook Pro, and AppleCare, as well as an array of Apple-related accessories that are currently on sale. Apple's MacBook Air is currently available for up to $150 off at Best Buy, with Adorama, Amazon, and B&H Photo offering similar deals on some models. The entry-level 11-inch MacBook Air with 128 GB of storage can be purchased for $799 from Best Buy, Adorama, or B&H Photo. 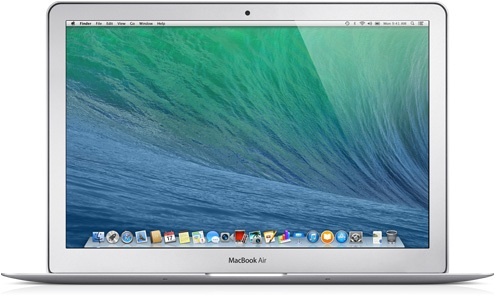 The higher-end 11-inch MacBook Air with increased storage is available for $949 from Best Buy and Amazon. The entry-level 13-inch MacBook Air with 128 GB of storage is available for $849 from Best Buy and the higher-end model with more storage can be purchased for $1,099 from Best Buy, Adorama, or B&H Photo. Best Buy's MacBook Air discount is only available until July 26, but it can be combined with the site's educational deal that offers $100 off all Macs, making it a solid choice for students. Buying from Adorama and B&H Photo gives the benefit of no sales tax in many states, as these two stores only charge tax in New York/New Jersey and New York, respectively. Apple's Retina MacBook Pro has seen ongoing discounts for the past several weeks, with many of the price cuts, in the range of $100 to $150 off, still available this week. The lower-end 13-inch Retina MacBook Pro with 4GB of RAM and 128 GB of storage is $1,199 at Adorama and B&H Photo. The lower-end 15-inch Retina MacBook Pro with 8GB of memory and 256GB of storage is $1,829.99 at Amazon, Adorama, and B&H Photo, while the higher-end model with 16GB of memory and 512GB of storage is $2,449 at Amazon, Adorama, and B&H Photo. The end of July has brought some of the best iMac deals we've seen this month, with Best Buy offering the new low-cost 21.5-inch iMac for $949.99, a savings of $150. Best Buy is also offering the 21.5-inch 2.7GHz iMac for $1,149, while Best Buy, Adorama, and B&H Photo are offering the 21.5-inch 2.9GHz iMac for $1,349.99. 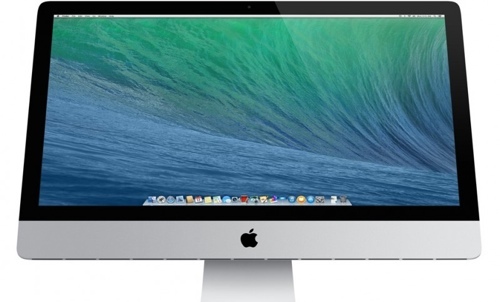 As for the 27-inch iMac, the 3.2GHz version is on sale for $1,649.99 at Best Buy and the 3.4GHz version is on sale for $1,849.99 at Best Buy and B&H Photo. Best Buy is offering a discount on all of its 16GB fourth-generation iPads, both Wi-Fi and cellular, selling them for $329.99, a discount of $70. Like last week, B&H Photo is offering several discounts on AppleCare. The AppleCare Protection Plan for the 15-inch Retina MacBook Pro and the 15-inch MacBook Pro is available for $244, $105 off Apple's regular price. The AppleCare Protection Plan for the MacBook Air and the 13-inch Retina Macbook Pro is available for $174, $75 off Apple's regular price. The AppleCare Protection Plan for the Mac Pro is available for $174, $75 off Apple's regular price, while the AppleCare Protection Plan for the iMac is available for $129, $40 off Apple's regular price. Best Buy is offering the Jawbone UP24 for $99.99, a discount of $50 off the regular price. Best Buy is also offering $100 iTunes gift cards for $85 and the site has refurbished AirPort Extreme Wireless Base Stations on sale for $120, a discount of $80. The Mophie Juice Pack Helium rechargeable battery case for the iPhone 5/5s is available for $59.99 from Groupon, a savings of $20. Groupon also has a solid deal on a dual stylus/pen from Belkin, offering it for $9.99, a savings of $25. Daily Steals has Apple EarPods on sale for $15, and the site is offering Apple's Lightning to 30-pin adapter for $15. Finally, Griffin has a sitewide sale going on, offering 25 percent off all products with the code GT25. The deal is only good today. Following a report by Droid Life yesterday, Verizon has now confirmed to Gigaom that starting October 1 the carrier will begin spot throttling of certain high-usage customers connecting to carrier's LTE network. The policy affects users on grandfathered unlimited data plans that are no longer offered and who rank in the top five percent of data users at Verizon. While Verizon has had a similar policy in place for its 3G network for several years, the extension of it to the LTE network that now handles 76 percent of the carrier's data traffic will be noticeable for a number of users. On October 1, Verizon will start throttling back LTE speeds on its heaviest unlimited-plan subscribers when they move into congested cells on its networks. What that means is that when the network gets crowded, Verizon will prioritize 4G customers who buy their data by the gigabyte over unlimited plan customers who fall into the top fifth percentile of monthly data usage. As of today, the top five percent consists of customers who use 4.7GB or more of data each month, though that number will fluctuate month-to-month as traffic patterns change. Rather than blanket throttling of users speeds when they hit certain thresholds, Verizon will be weighing demand on individual cell sites and assigning these unlimited users lower priority and thus slower speeds than other customers during periods of high demand. Verizon said that its new policy will only apply to customers who have fulfilled their contract terms (so if you renewed your data plan under contract in the last two years, you’re safe). The policy remains in effect for a subscriber for the entirety of a billing period. If you’re still in the top 5 percentile of users at the end of that month, then the throttling policy continues for another billing period. But if you’re not, then all restrictions are lifted – at least until your next bill. With the explosion in smartphone usage in recent years, carriers have been turning to throttling to help manage demand on their networks. The policies are also being used to encourage users to move away from the unlimited data plans that were popular in the early smartphone days but which have been phased out by carriers in a shift to tiered data plans in which the amount users pay is tied to their data usage. Bose today filed a lawsuit against Beats Electronics, accusing Beats of infringing on a number of patents related to noise cancellation and other audio technologies (via TechCrunch). The lawsuit accuses Beats Studio and Studio Wireless branded headphones, which advertise "Adaptive Noise Cancellation," of violating five separate Bose patents in the United States. In the filing, Bose points towards the 50 years of research, engineering, and development of noise cancellation techniques that went into the creation of its QuietComfort line of noise-cancelling headphones, which use the technology Beats has allegedly stolen. The lawsuit asks for an injunction that prevents Beats from continuing to produce products that infringe on Bose patents and it requests a damages award for using the company's technology. Bose has also filed a complaint with the International Trade Commission, seeking a sales ban on the Beats products that violate its patents. Bose's infringement lawsuit against Beats is set to become Apple's problem as the company's purchase of Beats is expected to close this quarter. Apple initially announced its $3 billion acquisition of the headphone manufacturer in May. Apple is currently embroiled in a number of lawsuits, including an ongoing dispute with Samsung Electronics and several class action suits brought against it by former employees. Following the launch of yesterday's public beta for OS X Yosemite, the operating system's share of global Mac traffic has nearly doubled according to installation numbers from GoSquared. 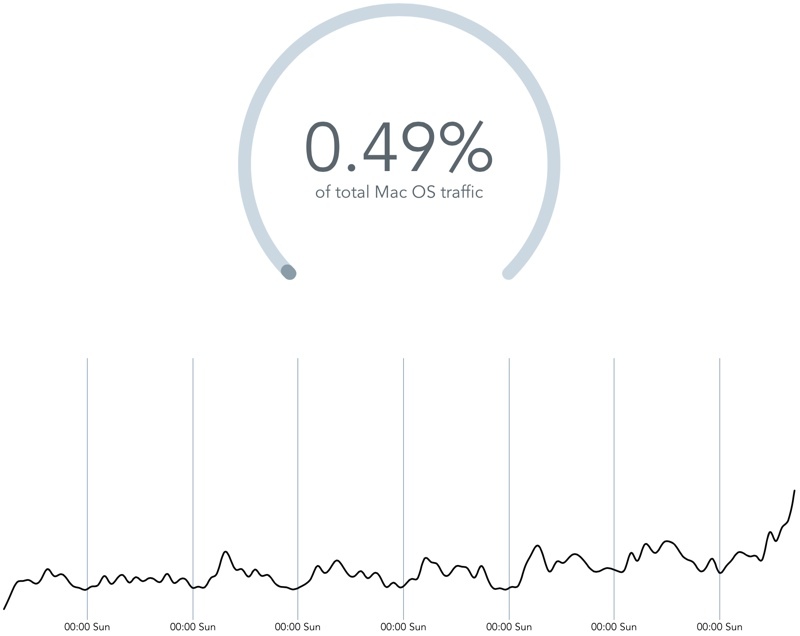 The site has been tracking the usage of OS X Yosemite in real time since its initial developer launch on June 2. Yesterday, ahead of the beta launch, Yosemite accounted for 0.26 percent of all Mac traffic globally and as of today, that number has crept up to 0.49 percent. In just over 24 hours, the number of Yosemite users has doubled, and those numbers will likely grow even further today and over the weekend as additional testers download the beta OS. Many users are still having issues downloading the software, which is preventing Yosemite from reaching all prospective beta testers. Earlier this month, analytics from Chitika suggested developer interest in Yosemite was higher than usual, with early adoption rates outpacing Mavericks adoption rates by a significant margin. High interest in OS X Yosemite can be attributed to both the operating system's redesign with a focus on simplicity and translucency and its new features that offer deep integration with iOS 8, including Continuity. Last year, OS X Mavericks was adopted at a rapid pace, seeing 7 percent installation in under 24 hours after its public launch. Based on the public beta numbers and the high developer interest, Yosemite adoption may be even more rapid when the software is released to the public this fall. 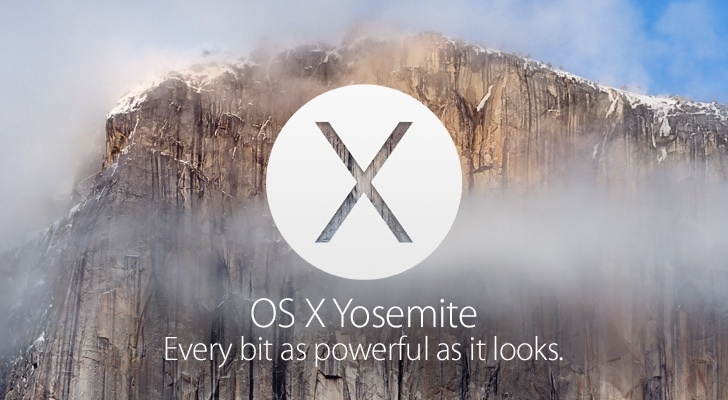 OS X Yosemite is currently available to registered developers and those who signed up to beta test the software. Beta users who are new to the operating system can check out our first impressions post and get troubleshooting tips and information on Yosemite's new features in our Yosemite forums. GoSquared's Yosemite numbers are gathered from the percentage of page views across all sites using GoSquared's analytics and updated on a minute-by-minute basis. After announcing its OS X beta program at WWDC in June, Apple yesterday released the first beta version of the operating system to the public amid favorable reviews. For a growing number of people, the early impressions of OS X have not been positive due to a downloading issue that has prevented the installation of the OS. Users in MacRumors forums, Apple support forums and on Reddit have complained about not being able to download OS X Yosemite from the Mac App Store. These users have successfully redeemed a promo code and initiated the installation, only to have it fail during the download process. This issue has persisted more than 24 hours after the beta was released, suggesting it is not a problem with server overload. Can’t get OS X Yosemite to download properly. Maybe it’s the limit I can download per month or something. Gonna go to Starbucks and try it. All Apple's online services are fully operational, and Apple support has not mentioned any potential issues that could interfere with OS X downloads. Several users have reported that using a VPN and selecting an alternative country such as Canada has solved the download issue, while others have chosen to delay the install indefinitely. Apple's beta program has made OS X Yosemite available to up to a million new, non-developer users who now are experiencing the OS for the first time. Beta users can check out our first impressions post as well as our forums for troubleshooting tips, known issues and more. Looking at Apple's quarterly SEC quarterly filing, Katy Huberty of Morgan Stanley believes Apple's revenue is poised to explode in the coming quarters. 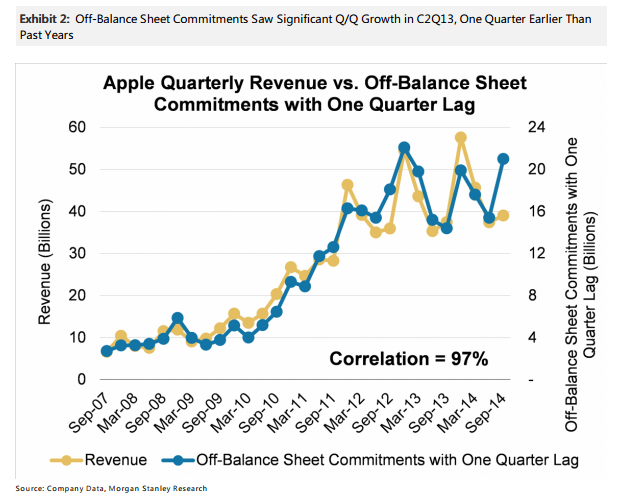 Huberty based her prediction on increases in Apple's off-balance sheet commitments, which have a historical correlation with revenue growth. Off-balance sheet commitments are those investments in components and services that are involved in the mass production and launch of new devices. These line items include component purchases, manufacturing process equipment investments, advertising, and other services. Huberty notes that Apple's total spending in these areas has climbed 46 percent yearly and 36 percent quarterly in fiscal Q3 2014, making last quarter's jump the largest spending increase since Apple first launched the iPhone in 2007. Huberty, not surprisingly, attributes this spending increase to Apple's iPhone 6 and iWatch wearable, both of which are expected to launch later this year. These new products, along with services such as mobile payments, could accelerate growth and boost margins. Apple has the opportunity to take share in slower growth smartphone and tablet markets with larger screens and new services. New product categories like iWatch, and services like payments could further boost growth. Apple is rumored to be launching its next-generation iPhone 6, refreshed iPad models and a new iWatch smartwatch later this year. The company may also update its Mac hardware to coincide with the debut of OS X Yosemite. China media sources (via GforGames) report that mass production of Apple's 4.7-inch iPhone is underway ahead of the phone's expected fall launch. These same sources claim the 5.5-inch version of the iPhone 6 has not entered mass production, further suggesting that the launch timeframe for this larger iPhone model is still uncertain. Besides the iPhone 6, Apple also is preparing the next-generation iPad Air and Retina iPad mini for mass production starting in September. Apple is expected to unveil its new iPads, possibly alongside the iWatch, at an October event that also will likely be used to announce the public release of OS X Yosemite. As Apple prepares to launch new iPhones and iPads later this year, the company's Asian suppliers are gearing up to boost production by as much as 85 percent by Q4 2014. Some of this increased production may be handled by Foxconn robots, "Foxbots", with the company reportedly deploying as many as 10,000 robots at a cost of up to $25,000 each. Anticipation for Apple's fall lineup of devices is high, fueled by comments from Apple executives that suggest the company will enter new product categories with a device lineup that is the best it has had in 25 years. Hello Inc's new Kickstarter project Sense is an iOS-compatible sleep tracking system that allows users to monitor their sleep patterns and bedroom environments without the need for intrusive hardware. 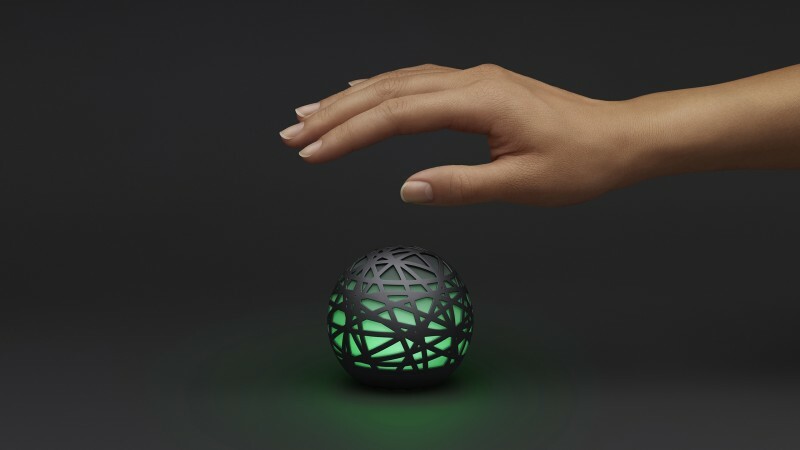 The primary Sense device is a glow-in-the-dark polycarbonate orb that derives data from factors such as noise, light, temperature, humidity, and air particles to measure sleep quality. Sense also comes with the Sleep Pill, which is a small sensor that clips onto a pillow to track movement with a 6-axis accelerometer and gyroscope. 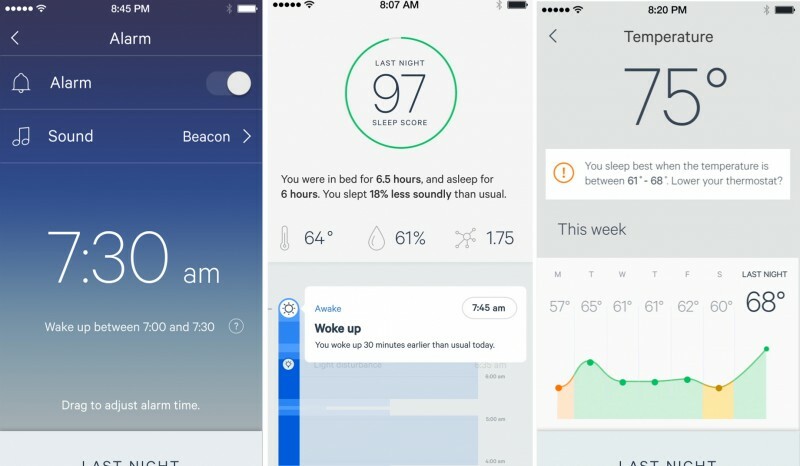 Sense works with its own companion app for iOS to provide users a snapshot of their last night's sleep, offering an overall sleep score in addition a timeline of events throughout the night that triggered movement. The app can even play back noises that were captured by Sense, allowing users to listen to sound disturbances that may have led to an interruption in sleep. The app also includes a Smart Alarm feature, which works with the Sense monitor and Sleep Pill to wake a user up at the right time. For instance, if a user begins to move more frequently after an extended period of rest, the app's Smart Alarm will sound off in sync with a sleep rhythm. Sense also includes a number of pre-made sounds and alarms to aide the sleeping experience. The Sense sleep monitor and Sleep Pill can be preordered for a special price of $99 on Kickstarter, with regular pre-orders costing $129 afterward. The first Sense monitors and Sleep Pills are expected to begin shipping in November 2014. Today marked the first day of Apple's public beta testing program for OS X Yosemite, letting thousands of non-developers download the software for the first time. With so many new users, new issues and bugs in the beta are coming to light and being catalogued in our Yosemite forum. We've pulled out some user reactions from the forums to share, along with some tips on troubleshooting possible issues. For users having problems with the beta, the Yosemite forums can be an invaluable resource, and for users still debating whether or not to install the beta software, make sure to check out this post and our forums before taking the plunge as Yosemite is still somewhat unstable. A lot of new Yosemite users think that the operating system looks great. According to one user, it makes Windows and Mavericks look antiquated in comparison with its new focus on translucency and clean lines. A "Yosemite is Beautiful" thread is full of praise, with users calling it "stunning" and "the best OS X has ever looked." While there are a lot of Yosemite users who like the changes Apple's brought to Yosemite, there's a much longer complaint thread entitled "Yosemite Looks Terrible" that includes complaints about Dark Mode, "crappy" fonts, and the bland look of the translucency. Users also say Yosemite looks far less appealing on a non-Retina display. 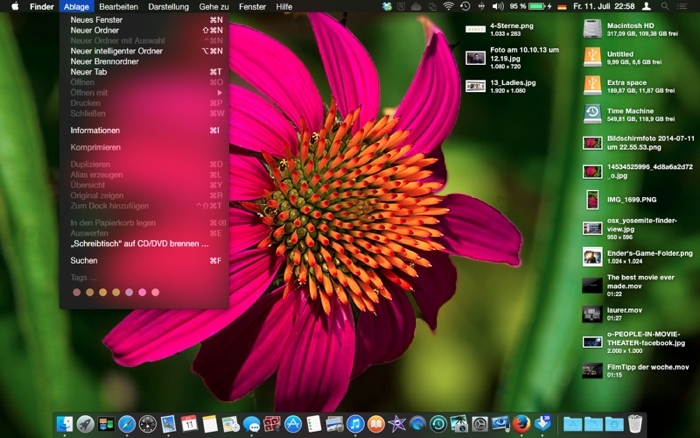 Thus far, most users have not noticed significant performance improvements going from Mavericks to Yosemite, but that could change as Yosemite is still very much in a beta form. A lot of users have received an error message suggesting their Yosemite codes had already been redeemed after requesting a code. According to Apple, simply refreshing the beta page will provide an entirely new code. One new Yosemite user who installed the operating system on a partition discovered that Yosemite may cause problems with partitions. Other users have also reported issues with partitions after installing Yosemite, while some have had no problems at all. The linked thread contains some Terminal fixes for users experiencing issues. There's a lengthy bug thread on OS X Yosemite that has been added to throughout the beta testing period. Some remaining bugs include poor management of dual iTunes accounts, crashes in Activity Monitor, making and receiving calls with the FaceTime app, and unreliable WiFi connections. Problems with specific apps are listed in a separate thread, but some issues include frequent crashes with apps like Spotify and Microsoft Office. Apps like Final Cut Pro X, Aperture, iMovie, and Pixelmator also do not appear to be fully functional. For users who have the iOS 8 beta installed on their iOS devices, MacRumors forum member Armen has put together a detailed walkthrough on how to set up Continuity and Handoff, new integration features introduced with the two new operating systems. Continuity appears to be largely functional for users with compatible machines, which have a Bluetooth LMP version of 0x6. Handoff does not appear to be working with 2011 MacBooks, but those machines do appear able to access SMS texts and phone calls. New Yosemite users and those who are thinking about installing the beta should also check out the OS X 10.10: All The Little Things forum thread that details all of the lesser-known changes made to Yosemite throughout the beta testing period thus far to get familiarized with the operating system. For example, the latest developer preview introduced an entirely new version of iTunes, a new calculator app, and more. Users who signed up for the public beta program can access promo codes to install Yosemite through the beta program website. Apple has also been sending out emails to those who have been selected to beta test Yosemite. Apple recommends Yosemite be installed on a secondary machine as it is beta software, but users who do not have a secondary machine may want to install the operating system on an external drive or on a separate partition. OS X Daily has a set of instructions that walk users through both scenarios, explaining how to install on a partition or external hard drive. A MacRumors forum member has also explained how to create a bootable USB installer. 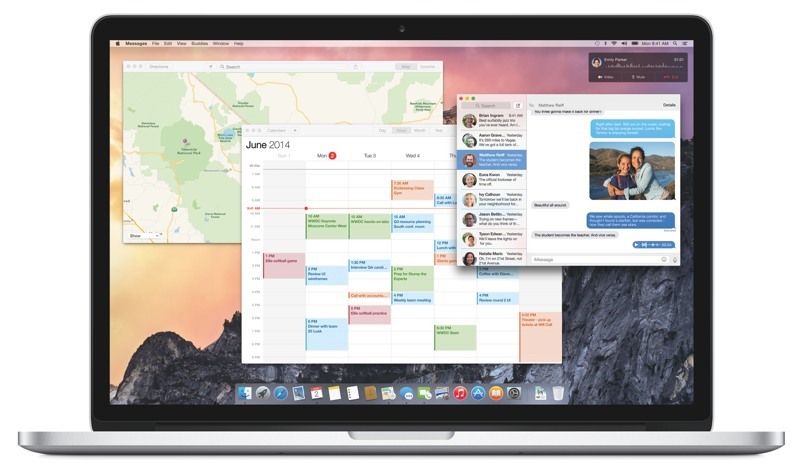 OS X Yosemite is expected to remain in beta testing until October, with new versions being seeded to both Appleseed participants and developers. Public beta test members will not, however, get as many updates to the software as developers. We've seen several different parts for the 4.7-inch iPhone 6, but parts for the larger 5.5-inch version have thus far been in short supply. 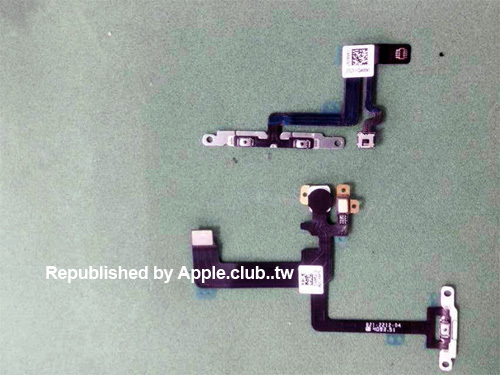 Apple.club.tw [Google Translation] has shared some new images of what might be the first leaked internal parts for the 5.5-inch iPhone 6, offering up pictures of power/volume flex cables and SIM trays said to be for the device. The two flex cables that separately house the left side volume buttons/mute switch and the top power button are similar in design to an earlier set of leaked flex cables said to be for one of the iPhone 6 models. There are, however, some design differences that suggest there are two distinct sets of flex cables designed for two different devices floating around the Asian supply chain. For example, the new set of flex cables depicts less space between the volume buttons and the mute buttons and the two flex cables for the power button have different shapes. Like the earlier cables, the flex cables in the new images resemble parts from other devices and have an Apple-style part number. As it is difficult to determine size based on images, it is unclear which set of leaked flex cables might be designed for the 4.7-inch iPhone and which is destined for the 5.5-inch iPhone, but as both cables are different than existing parts for the iPhone 5s, iPad Air, and iPad mini, they point towards two separate devices if legitimate. 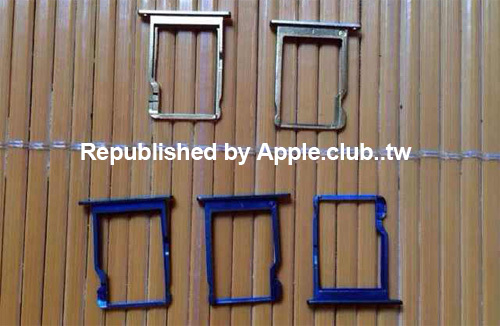 Apple.club.tw has also shared images of a longer flex cable with an unknown purpose and a set of SIM card trays in a cobalt blue color. Blue is not expected to be a color for the iPhone 6, as current rumors have pointed towards a release in the existing silver, gold, and space gray for both models, so the blue SIM trays are somewhat questionable. As we move closer to the September launch date of the iPhone 6, we expect part leaks to become more frequent. We may also see more parts designed for the larger iPhone 6 as it is expected to enter mass production in August or September. 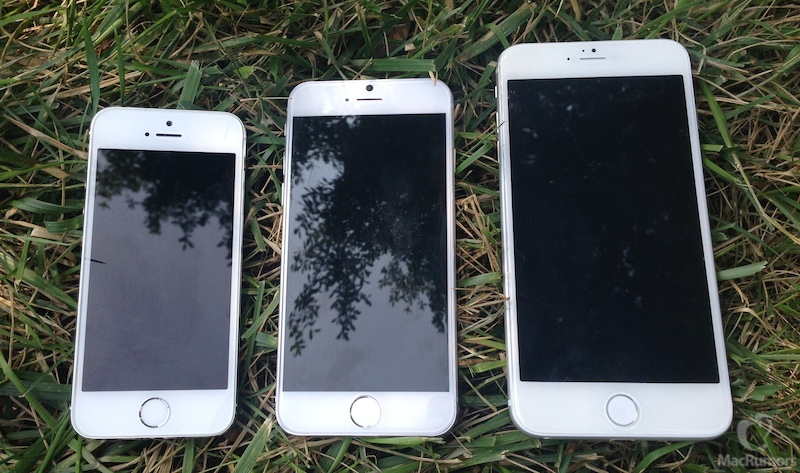 The 4.7-inch iPhone is said to have entered mass production in July. Rumors have suggested that Apple may ship the 4.7-inch iPhone 6 ahead of the 5.5-inch iPhone 6 due to supply constraints with the latter, so it remains unclear if we will see the bigger phone at Apple's prospective iPhone 6 launch event in September. Apple's recent earnings call revealed that iPad sales continue to decline, with the company shipping only 13.3 million iPads during the third fiscal quarter of 2014 (second calendar quarter), compared to 14.6 million in the year-ago quarter. Despite the sales drop, Apple continues to be the world's leading tablet vendor, with a total 26.9 percent of the market, according to new numbers from research firm IDC. Samsung retains its number two spot with 8.5 million shipments and a 17.2 percent share, but both major companies have been losing significant ground to companies putting out more affordable tablet devices. Lenovo, for example, saw its share of the tablet market rise from 3.3 percent to 4.9 percent, a 64.7 percent jump. ASUS saw 13.1 percent growth, and the "Others" category, which is comprised of vendors not quite in the top five list, has jumped from a 37 percent share to a 44.4 percent share, an increase of 33.4 percent. Overall, the worldwide tablet market has grown 11 percent year-over-year, with total tablet shipments of 49.3 million, up from 44.4 million in 2013. As we indicated last quarter, the market is still being impacted by the rise of large-screen smartphones and longer than anticipated ownership cycles," said Jean Philippe Bouchard, IDC Research Director for Tablets. 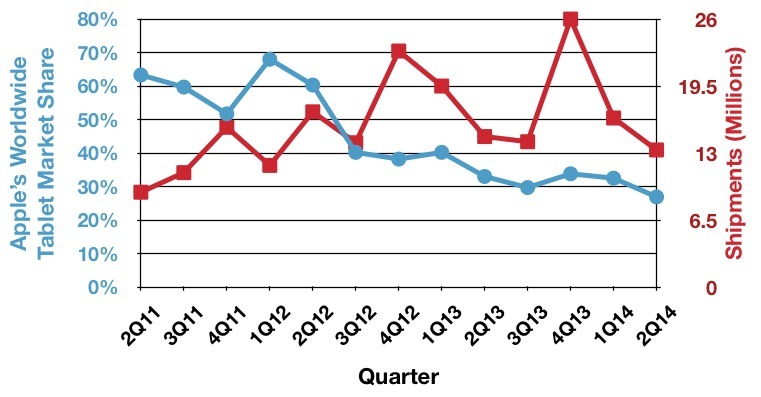 "We can also attribute the market deceleration to slow commercial adoption of tablets. Despite this trend, we believe that stronger commercial demand for tablets in the second half of 2014 will help the market grow and that we will see more enterprise-specific offerings, as illustrated by the Apple and IBM partnership, come to market." To date, Apple has sold 225 million iPads and according to Tim Cook, the company isn't worried about declining sales. Cook noted the tablet category is still "in its infancy," and Apple is planning to bring "significant innovation" to the iPad in the future. iPad sales will likely pick up later this year with the introduction of a second-generation iPad Air and a second-generation Retina iPad mini. Both tablets are expected to include upgraded processors and Touch ID integration. Apple is also expanding its presence in the enterprise tablet market with a new partnership with IBM. 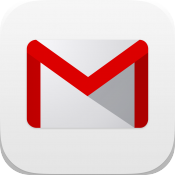 Google today updated its Gmail for iOS app to version 3.14159, adding improved integration with its Google Drive storage solution. It's now possible to save email attachments directly to Google Drive, making them accessible everywhere and saving storage space. Users are also able to insert Google Drive files directly into messages. Google has also included new account management options and the ability to change a profile picture in the Settings menu. - New account management options to choose which accounts you want to have visible in Gmail without removing accounts from your device. Late night talk show host Jimmy Kimmel covered Apple's upcoming smart watch on last night's show, airing a humorous segment that featured the team showing pedestrians on Hollywood Boulevard a $20 Casio watch with an Apple sticker on the back. The people were told the cheap watch was Apple's new smart watch and predictably, Kimmel's team received some hilarious reactions. "It's very lightweight and it's kind of like old school, but still in style, you know?" said one woman, and a man complimented its rubber wrist band and the big numbers, which are "easy to see." Featured interviewees were all impressed with the watch's ability to show the time and the date, and several noted that they were willing to purchase anything Apple made. "I just like that it has an Apple insignia on the back," said one commenter. "If it's Apple it's good, right?" said another. Kimmel also had some quips to share about the upcoming larger-screened iPhone 6, claiming Apple was introducing the larger device so it could debut a smaller "iPhone mini" in the future. "They make the bigger phones, and then in two years they'll release the iPhone mini, which is the size of the phones we have now," he joked. "And we'll wait in line for like three days for it because that's how we are." In line with yesterday's announcement, Apple today made available a pre-release version of OS X Yosemite to consumers who signed up for the company's OS X public beta program. 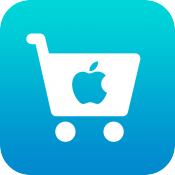 Public beta program members can access promo codes through the beta program website that allow them to download Yosemite from the Mac App Store for free. Early reviews of the pre-release build are favorable, with several reviewers noting improvements in Safari, Messaging and Notifications. Notably missing from the beta, however, are the highly anticipated Continuity features that allow for the integration of OS X with an iPhone or iPad running iOS 8, as only Yosemite is included in the program. To sign up for the beta program, users must have a Mac running OS X Mavericks and need to register with an Apple ID on Apple's website. Apple cautions members to install the OS on a secondary Mac as it is beta software and may cause unexpected errors or other issues. Enrollment in the beta program is limited to the first one million registrants. MacRumors readers who want to discuss the beta can do so in our Yosemite forum, which has tips on troubleshooting, comments on new features, and more. Apple is expected to release OS X Yosemite to the general public later this year, possibly following an October event that also may be used to unveil the iWatch and new iPad models. Update 12:25 PM PT: Some users who have signed up for the Yosemite beta have encountered an error indicating their beta codes have already been used. Apple suggests that users getting that error message refresh the beta program redemption page to generate a new code. While several high-profile smart deadbolt systems such as Lockitron and August have experienced significant delays, Kwikset has been shipping its Kevo Bluetooth deadbolt for some time now, and today the system is receiving a software update to provide new access options for users. Similar in appearance to other electronic deadbolt locks with a relatively large housing on the inside of the door, the Kevo system allows users to lock and unlock their deadbolts with a simple touch, relying on a Kevo iPhone app or physical fob to determine whether access should be granted. 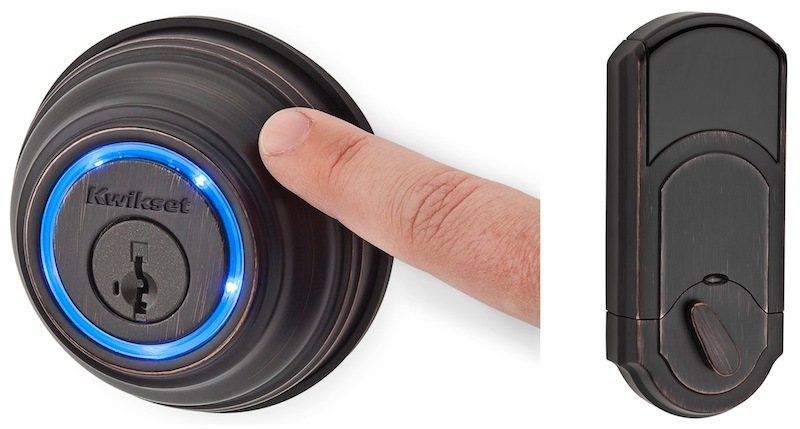 After a simple set-up process, the Kevo deadbolt can determine relative positioning of the device or fob, only granting touch access when the user is outside the door. A standard key can also be used to operate the deadbolt. Much of today's upgrade centers around the system's eKeys that allow users to unlock the door using the Kevo smartphone app. The new features include free and unlimited Guest eKeys that can be sent to guests to allow access for 24 hours, as well as a new Scheduled eKey type that allows to restrict the days and times a standard eKey is valid. From giving a neighbor day-long access to keep an eye on your kids, or letting in a weekend guest who beats you home from a busy day at work, the Guest eKey provides ultimate convenience and flexibility. The new Scheduled eKey enhances home access control by allowing users to set day and time constraints right from their phones. Ideal for house cleaners, dog walkers, nannies or others that need regular access at pre-determined times, like on Tuesdays and Thursdays from 1-3 p.m. Kevo owners can schedule these eKeys to be active prior to sending, so they don’t have to remember to grant or revoke access to these users in real time. 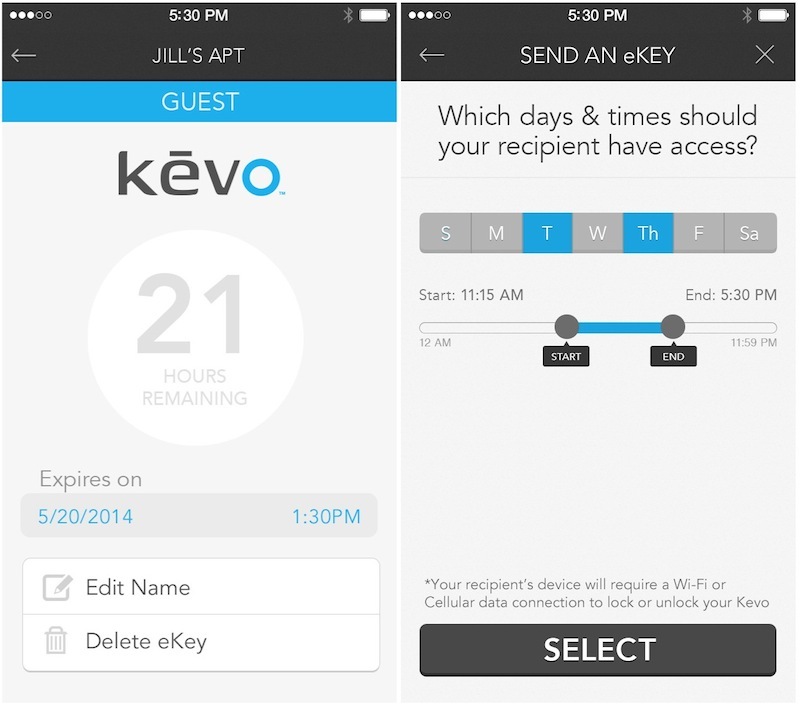 Kevo comes with two free Anytime or Scheduled eKeys, and additional ones can be purchased in-app for $1.99 each. The new Guest eKeys are available free of charge without limits. Kevo is available from Apple, Amazon, and other retailers for approximately $220. The updated Kevo app for iPhone is available now through the App Store [Direct Link], and the app also facilitates a firmware update for the lock itself. Swiss watchmaker Swatch Group today denied a recent report that it was working with Apple to develop a smartwatch product, reports Reuters. VentureBeat first reported this joint venture, citing an unnamed source with knowledge of Apple's plans. A spokeswoman for Swatch told Reuters that the Apple rumor was "unfounded," adding that Swatch's only relationship with mobile phone manufacturers, including Apple, is as a supplier of internal electronic circuitry and other smaller components. Swatch Chief Executive Nick Hayek reiterated in an interview with Reuters that "he was not interested in teaming up with a tech group to develop a smartwatch." The original VentureBeat rumor claimed Swatch and possibly Timex would build a smartwatch based on Apple's iWatch specifications. These third-party manufacturers would release their watches alongside Apple's own iWatch, providing "a family of smart watches to suit all tastes "from geek to chic." This type of agreement would be unusual for Swatch, whose CEO has publicly expressed skepticism about the future success of the iWatch, saying he doesn't believe "it's the next revolution." Earlier reports also indicate that Apple is working alone on the iWatch, hiring a variety of medical, fitness and fashion experts to help develop the wearable product. Apple is rumored to unveil its wearable device later this year with reports indicating it will be available in different materials and at various price points in order to appeal to a range of consumers. The smartband may have a fitness focus with sensors that measure vitals such oxygen saturation, hydration status and heart rate. This data may then be shared with iOS 8's new Health app in order to generate a comprehensive health profile for the user. Apple Launching 5.5-Inch iPhone 6 After 4.7-Inch Version to Avoid Competition Between Two Models? Apple will launch the 5.5-inch iPhone 6 several months after the 4.7-inch version to avoid competition between the two models, according to a new report from DigiTimes citing supply chain sources. 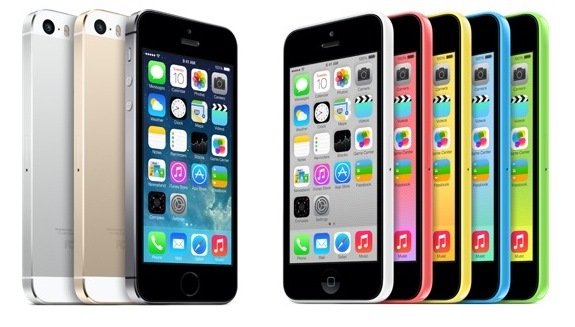 The different timetables have been set as Apple does not want to repeat the mistake it made in 2013 when it launched the iPhone 5s and iPhone 5c simultaneously, said the sources. Prior rumors have pointed out that production issues with the 5.5-inch iPhone 6 would cause Apple to delay its release a few months after 4.7-inch version, however this newest report claims that isn't the case for the launch delay. A report from Bloomberg last month suggested that Apple would be launching both versions of the iPhone 6 simultaneously, noting that the company had begun preparing the 4.7-inch model and 5.5-inch for manufacturing. Apple is expected to unveil the 4.7-inch iPhone 6 at a September event, although a report yesterday noted that the company is unsure as to whether it will show off the 5.5-inch version at the same time. The company is said to be preparing between 70 and 80 million iPhone 6 units to meet anticipated customer demand, as the larger screen could cause a massive spike in upgrades from both iPhone upgraders and those switching from Android. 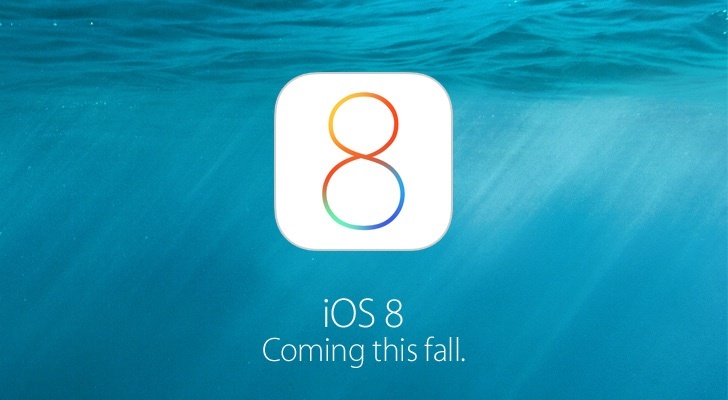 In addition to a larger screen, the iPhone 6 is expected to feature a faster A8 processor, a thinner profile, an improved camera, and Apple's new iOS 8 mobile operating system. Apple has seeded developers with new versions of Safari 7.1 for OS X Mavericks and Safari 6.2 for OS X Mountain Lion as works continues on OS X Yosemite. In its release notes for both betas, Apple is asking developers to test AutoFill for passwords and credit cards as well as general website compatibility and extension compatibility. - Please test password and credit card AutoFill. - Please test general website compatibility. - Please test extension compatibility. Apple also once again touts support for WebGL, which was included in prior seeds and allows users to view 3D content without the use of plug-ins. 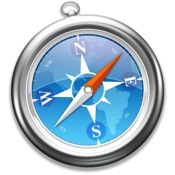 Safari 7.1 for OS X Mavericks and Safari 6.2 for for OS X Mountain Lion are expected to be released in the near future. Meanwhile, the company's public beta for OS X Yosemite launches tomorrow, July 24. Apple has announced on its official Chinese website that it will open its new retail store in Wuxi, China at Wuxi Hang Lung Plaza, which is about an hour's train ride from Shanghai, on Saturday, August 2 at 10 AM. Photo of Wuxi, China retail store before opening. 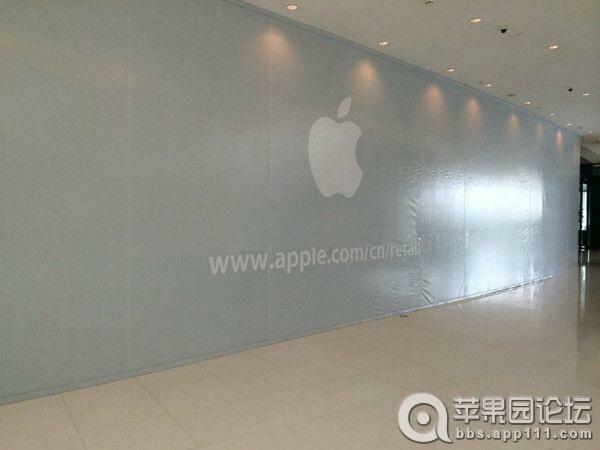 Last week, Apple announced that its new Chongqing store is set to open this Saturday, July 26. New Apple retail chief Angela Ahrendts plans to have a focus on furthering Apple's business in China, expecting to oversee the opening of 20 stores in the country through 2016. The moves are a part of Apple's larger effort to grow its presence in China, as the company started partnering with the country's biggest carrier China Mobile late last year and became China's fifth-largest smartphone vendor in Q4 2013. Apple is also working hard to attract Chinese app developers to iOS. Thanks Jacob! Apple Working With Swatch for iWatch With Multiple Designs, Price Points? Apple may be working with manufacturing partners like Swatch to create multiple versions of the iWatch that are available in a range of styles and price points, according to a questionable report from VentureBeat, citing a source with knowledge of Apple's plans. While most Apple-watchers and media have been laser-focused on one or two "iWatches" from Apple itself, the Cupertino, Calif.-based electronics and media giant may actually be working a number of partners in the watch business. Apple and its partners will offer a family of smartwatches to suit all tastes "from geek to chic," our source says. VentureBeat suggests it is possible that Swatch may be involved in building one or more of Apple's smart watches, and the site's source also believes Apple may be teaming up with Timex as well. Watches from third-party manufacturers would likely accompany an iWatch of Apple's own branding, according to the source. A possible partnership with Swatch or another watch maker would seemingly go against many of the existing iWatch rumors, which have indicated that Apple is building its own wrist worn device with multiple screen sizes up to 2.5 inches and an array of complicated health sensors. Apple has also hired a massive team of health and fashion experts to work on the iWatch, suggesting much of the development work is in-house. Thus far, there have been few hints on what the iWatch might look like, so there is a possibility that Apple could use something of a modular design, with a screen able to integrate with bands from multiple companies. Some reports, including a prediction from KGI Securities analyst Ming-Chi Kuo, have indicated Apple will produce the iWatch in a variety of materials and at multiple price points to satisfy a wide range of tastes. Apple is also said to be marketing the iWatch as a fashion accessory, but thus far other reports have not pointed towards third-party design partnerships. Tim Cook yesterday suggested partnerships are "unusual" for Apple, speaking about the company's recent decision to team up with IBM. He emphasized that Apple's IBM partnership was possible because the two companies do not compete with each other, which is not the case with Swatch. Last year, Swatch CEO Nick Hayek also had some negative things to say about an Apple iWatch, stating "I don't believe it's the next revolution." Swatch does have some limited experience with smart watches, however, having previously teamed up with Microsoft to offer the Swatch Paparazzi smart watch. According to Hayek, Apple and Swatch have been in contact for multiple years over materials for products and energy harvesting technology, but in March, Hayek clearly stated that Swatch was not interested in forging a partnership with a company manufacturing wearable devices, including Apple, which casts doubt on today's report. Apple is expected to introduce the iWatch in October. Apple's talks with companies in the payment industry have been heating up in recent months, according to a new report from The Information. Apple executives have discussed launching a mobile payment solution as soon as this fall, allowing users to pay for physical goods with their iPhones. Apple is currently speaking with credit card company Visa over a possible partnership, a move that would bypass third-party payment processors resulting in direct savings for retailers and customers. Apple's payment solution is said to work with a "secured element" within the iPhone, safely storing payment credentials. This secured solution may involve the "Secure Enclave" built into Apple's A7 processor. Apple has told some partners its system would involve a so-called secured element in the phones--a piece of hardware where sensitive information such as a phone owner's financial credentials can be stored. The company also aims to run the system without giving up any control to wireless carriers. The Secure Enclave, which was designed for Touch ID, is a coprocessor within the A7 chip that uses a secure boot process to ensure that its separate software is both verified and signed by Apple. It functions independently even if a kernel is compromised and contains a unique ID that is inaccessible to other parts of the system, keeping all data held within safe. Apple's interest in the mobile payment arena has been rumored for years, but gained renewed attention earlier this year when The Wall Street Journal suggested the company as working on a new mobile payment service. As previously detailed, the service is said to allow people to use their iOS devices to make purchases for physical goods in apps and on the web, as well as in retail stores. The payment solution will most likely be built around iTunes, allowing Apple to leverage more than 800 million iTunes accounts, most with credit cards attached. It may also be tied to Touch ID, the fingerprint scanning home button built into the iPhone 5s and slated for inclusion in future iPads and iPhones. In January, Apple CEO Tim Cook said that mobile payments were "one of the thoughts" behind Touch ID. He has also said that Apple is "intrigued" with mobile payments and noted there's a "big opportunity on the platform." Earlier this year, Apple was said to be in talks with Paypal about a possible partnership and it has also sought out senior payments industry executives to take on roles within the company. Our forum members are building a comprehensive list of all the apps that function in iOS 8 beta 4, which may be helpful for users who have installed the beta or who plan to install it. The list also includes apps that are known to be broken and apps that work but have specific issues. Notable apps that fully work with the beta include 1Password, Dropbox, Deliveries, Google Chrome, Instagram, Pandora, Rdio, Vine, and Fantastical 2 for iPad and iPhone. Other apps, like Facebook and Snapchat work as well, but have some issues with videos. Popular apps that do not work with the beta at this point in time include Adobe Photoshop Touch, Camera+, Evernote, Google Docs/Drive, Infinity Blade 1-3, LastPass, Whatsapp, and YouTube. It is not unusual for apps to malfunction with the introduction of new beta software, as developers often need to make multiple tweaks to accommodate new APIs and protocols. Apple's extended beta testing periods are designed to give developers the time they need to get their apps working with the new operating system before it is released to the public. The forum post that lists all of the working apps is a Wiki post editable by users who have made more than 25 posts on MacRumors, so iOS 8 users who know of other functional/broken apps in the beta are encouraged to contribute. Fantastical 2 for the iPhone and the iPad were today updated to version 2.1, adding several new features to both mobile apps including a new Snooze feature, event invitation notifications, birthday notifications, and more. The biggest new feature, Snooze, allows users push back notification times for calendar events or reminders using either preset times or custom set durations, a useful function when a notification pops up and needs to be paused until a later time. To celebrate its 2.1 update, the Fantastical apps have been significantly discounted, dropping prices by up to 50 percent.